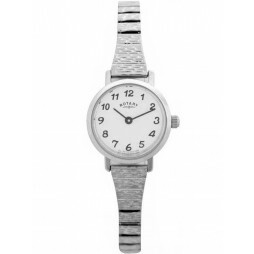 A beautiful and simple design is featured in this ladies timepiece. 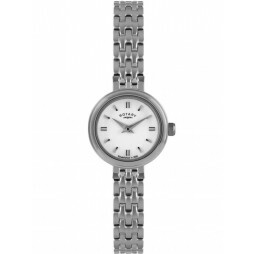 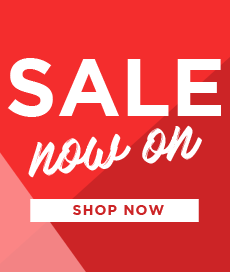 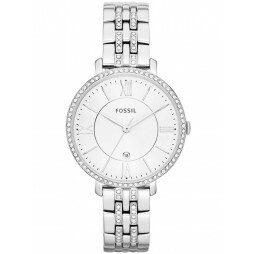 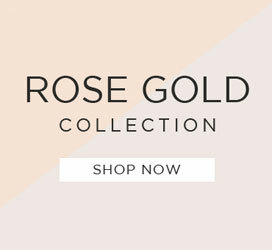 The silver coloured bracelet offers a mesh style which is fitted to a stainless steel case. 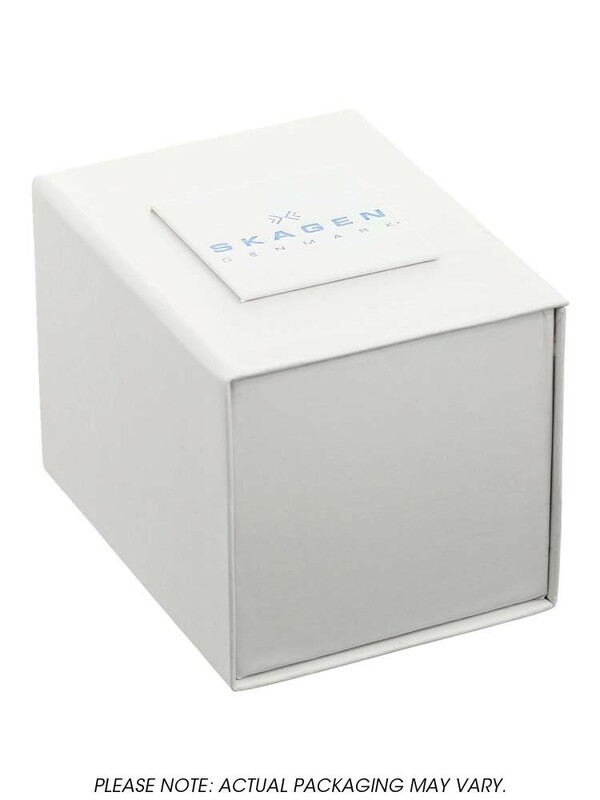 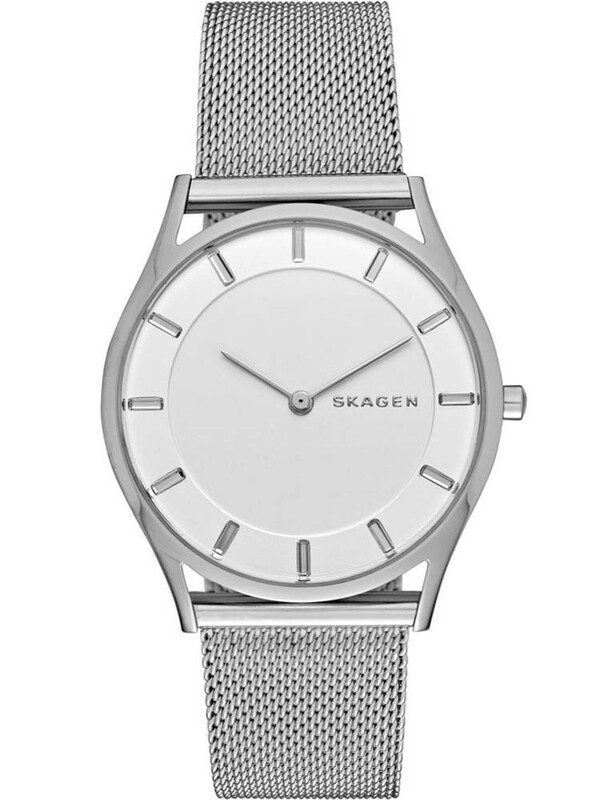 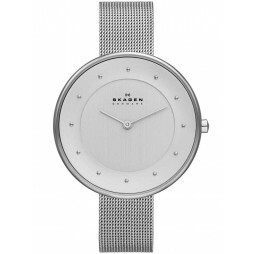 This white dial comes with simple silver hour batons, skagen logo and hour, minute hands.